This past weekend, Mary May and I joined Bill Kohls on a nearby lake in search of a few late winter largemouths. The day started with very little wind and that definitely had a negative impact on our bite. But as the wind picked up, so did the fishing. We started fishing deep and found a few fish on the depth finder, but they were scattered at best and we didn't spend too much time targeting them. However, Bill did show Mary May the basics of what we call "video video game fishing". We call it this because with good electronics, you can see the fish, watch your lure fall and put your bait directly in front of the fish. A few shakes of a drop shot and you are often hooked up. The technique is definitely not rocket science, but staying on the fish, especially if they are schooling, can be tough. Then we tried a few more areas before finally finding a channel adjacent to a large flat that fish were using to travel back and forth. I hooked up with a solid bass on a shakey head with a Deep Creek MT worm and a few casts later Mary May hooked up on a jerkbait. Before we could get around the corner, Bill hit one more fish, this time on a carolina rig. We moved to another area and I started throwing my Lucky Craft crankbait along a rock wall. I saw a fish come up behind the bait and try to engulf it, but missed. So, I threw a plastic back in his direction and he nailed it. After a nice fight, he came to hand at around 3 lbs. As they day went on, we kept catching fishing between 1 and 2 lbs. Then it started getting cold and Mary May and I were ready to head home. We stopped at one last spot before leaving and I had a small bass come out of a rocky patch to hit my shakey head. 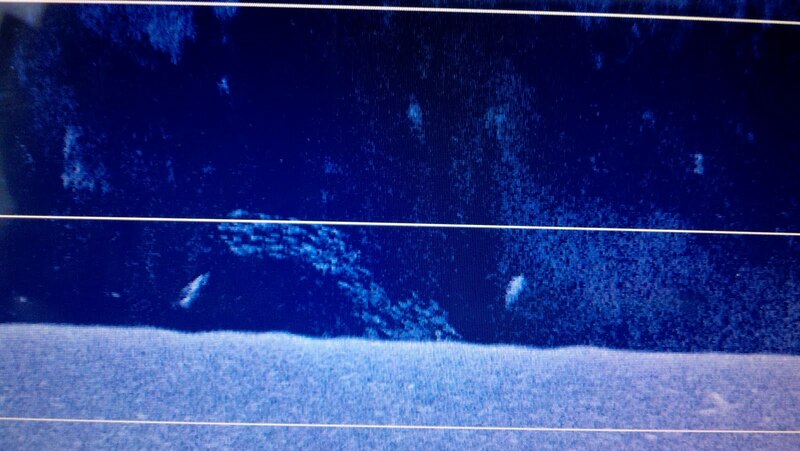 However, the fish just hit the tail and I chalked it up as a swing and a miss. But, around the next corner I saw a similar type of spot, so I cast my bait to the rocks. A few seconds later, I felt a good bite and set the hook. It was a solid fish and he was fighting like crazy. It was my icing on the cake fish at 3.5 lbs. It was a great day on the water for us all. There is nothing more rewarding than putting together the puzzle and getting some fish in the boat. We landed 15+ fish and had quite a few more bites...not too shabby for mid-February. I hope to get in the kayaks again this week, but work has been crazy, so no guarantees. Until next time, tight lines! Haha - not too secret...must have been 100 boats out there, but this week I'm keeping it under wraps. Your right, it is always rewarding when you can figure out the pattern and end up with a nice bag at the end of the day. 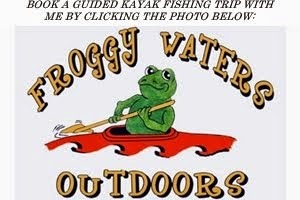 Kayak fishing has gained popularity in recent times.Many of the techniques used in kayak fishing are essentially the same as those used on other fishing boats.